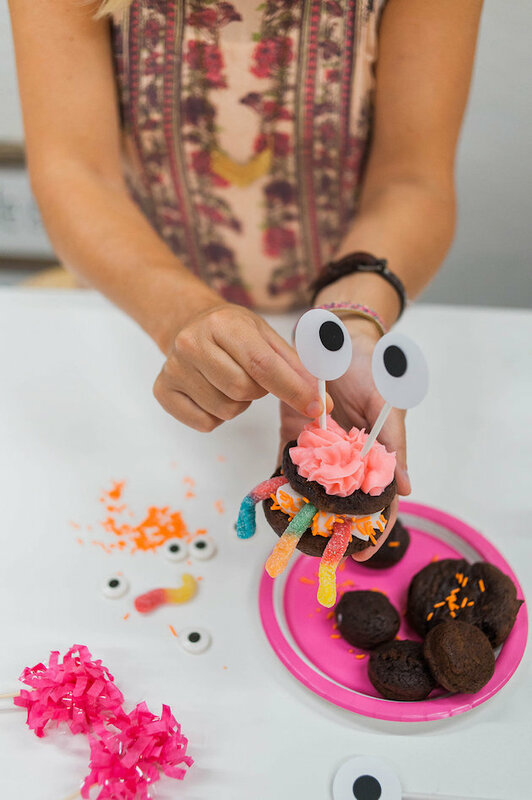 Now that all of my kiddos are back to school, I love to come up with fun activities for spending quality time with them. They LOVE when I bake and are so eager to help, plus it’s great for them to get involved and learn! Hi!!! 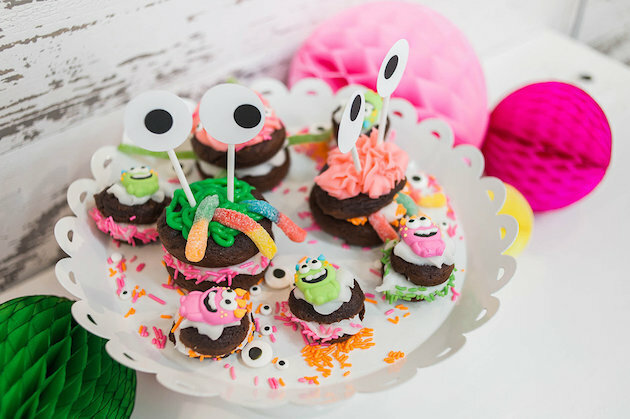 It’s Rebecca here today from Make & Do Studio and I’m going to share these FUN DIY Monster Whoopie Pie Ideas. The first thing you need to do is grab all of the supplies you need from JOANN Stores. I used a recipe for Whoopie Pies I found online, and don’t worry if you’re not a baker!! 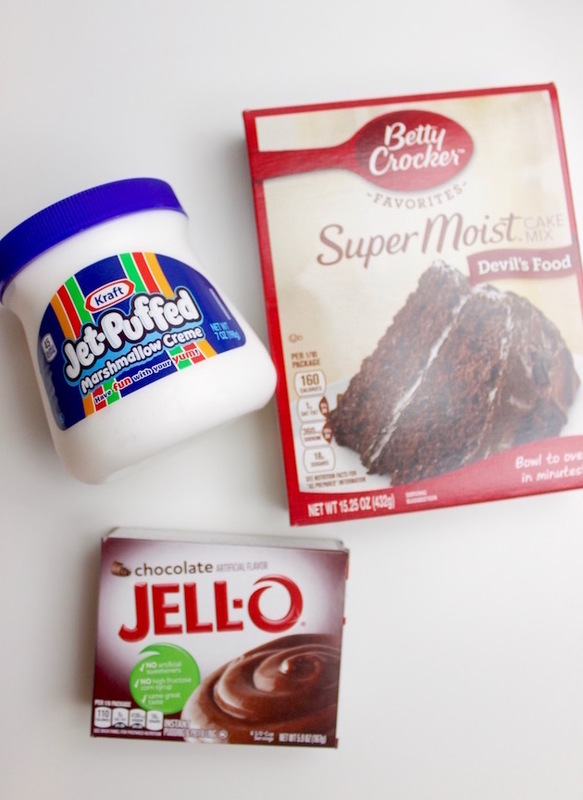 This recipe called for a box of Devil’s Food Cake mix, 3 eggs, 3/4 c water, 1/2 cup vegetable oil and 1 box of instant chocolate pudding mix. Bake at 350 degrees for 10 minutes. 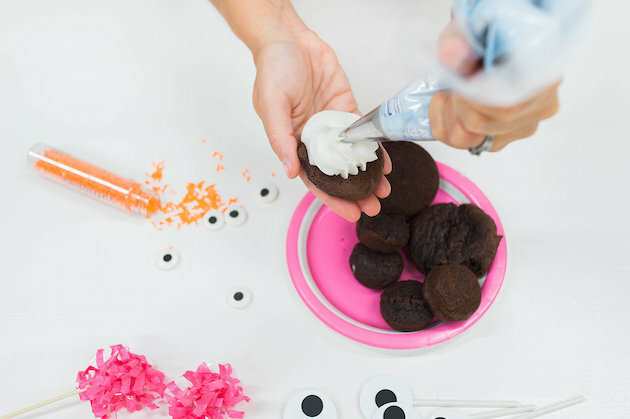 For the icing, you can either use premixed icing or find a simple recipe using Marshmallow Creme. I made two sizes of whoopie pies, mini and regular. 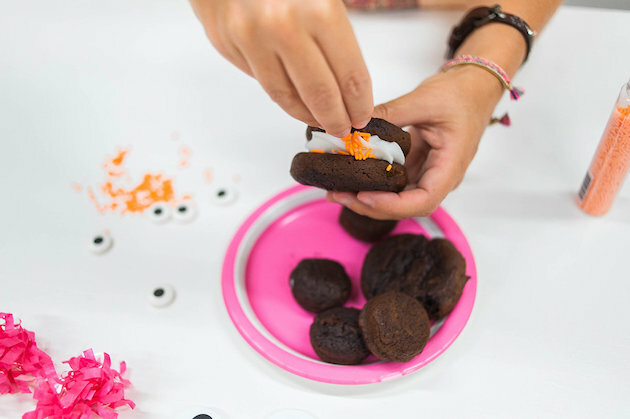 Once you have your whoopie pies baked and cooled, you will need to assemble them. 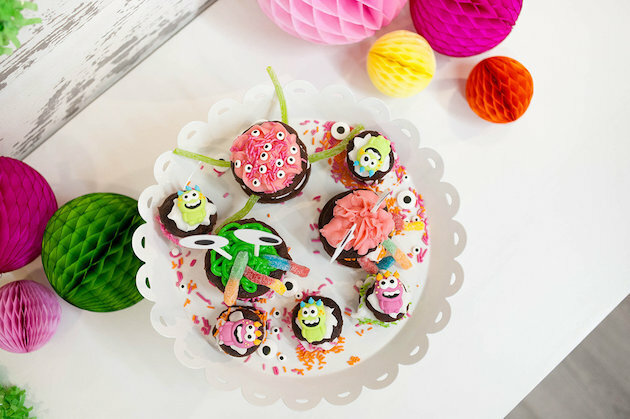 Once your pies are filled, it’s time to decorate! There are no rules here, get as creative as you want. I like sprinkling sprinkles around the edges. 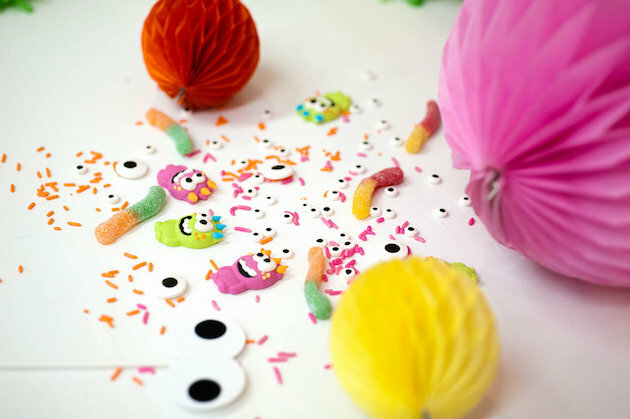 I found these darling candy monsters that I thought would be perfect to top the mini whoopee pies. 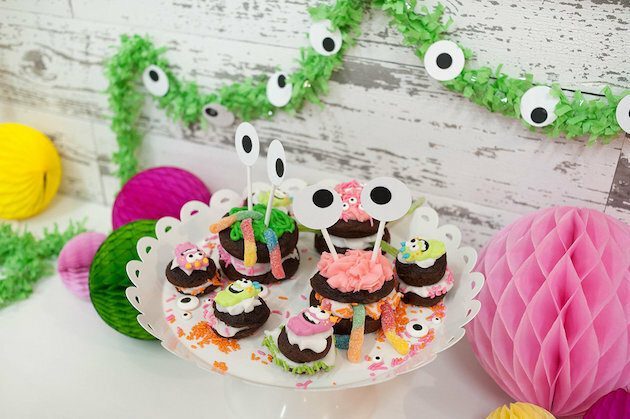 Also, an assortment of Wilton Candy Eyeballs and gummy candy were perfect to turn these pies into little monsters. 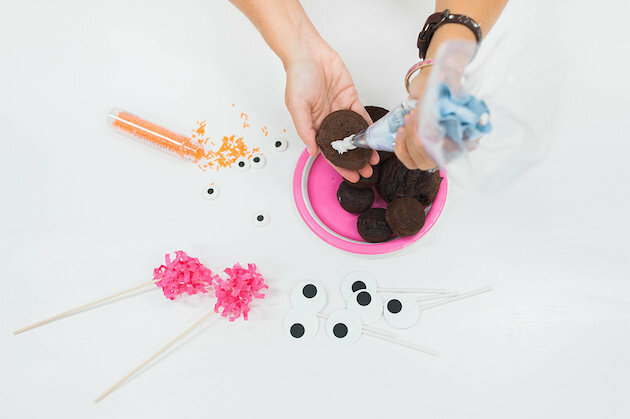 With a circle hole punch, I punched two sizes, then I made google eyes to attach to lollipop sticks to make crazy eyes that could stick ours from the whoopie pie. 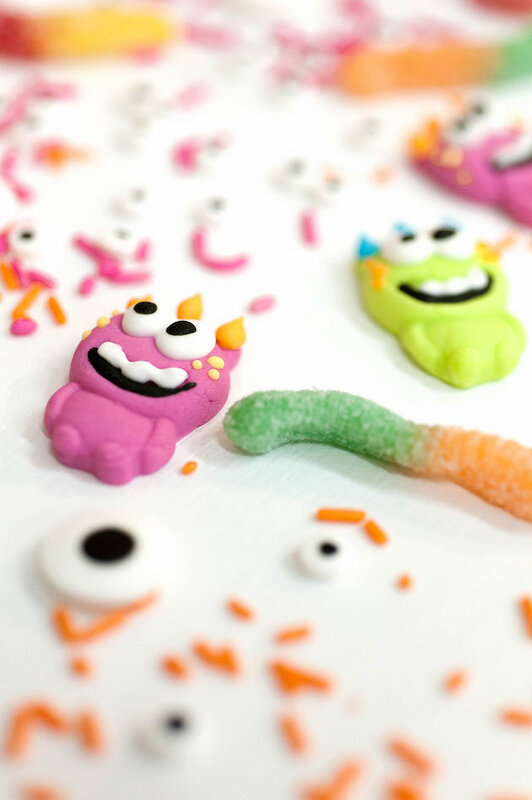 Using a variety of supplies, you can create different monster faces, the possibilities are endless! See? 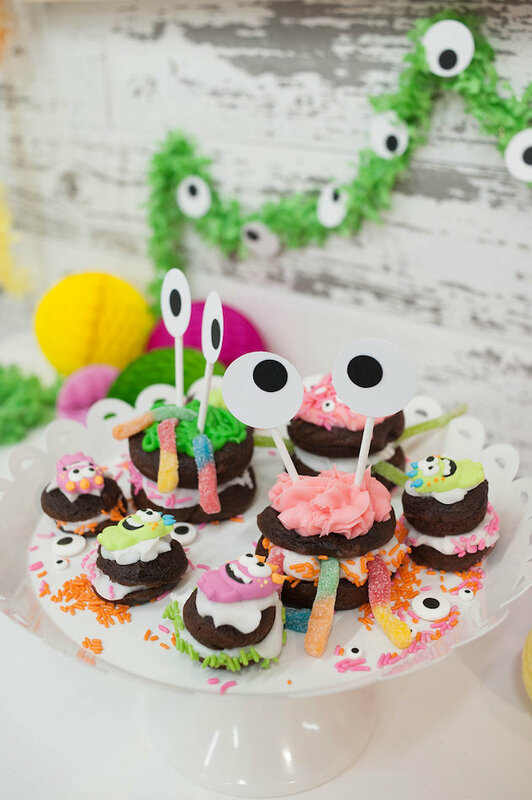 What a fun twist on a traditional recipe! Are you ready to get started? 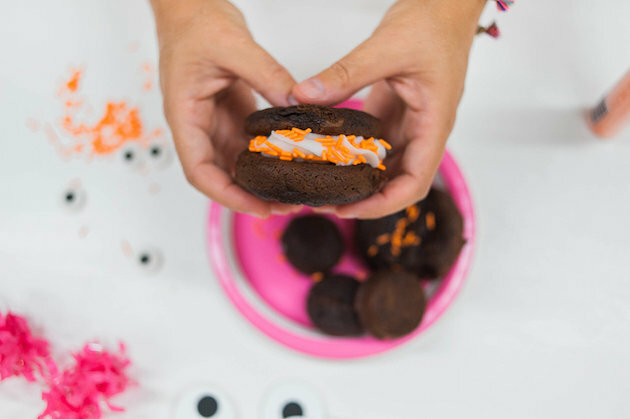 Head to your closest JOANN Stores and grab some goodies to make your own version of this FUN DIY Monster Whoopie Pie project!